On 25 Oct 2018 over 400 soldiers in the Egyptian and Russian parachute regiments finished the annual joint military exercises known as “Protectors of Friendship”. These drills commenced in 2016 and have taken place on a yearly basis with Egypt and Russia acting as host every alternate year. Turkey Shells Kobani And Tel Abyad In Eastern Syria. What Are Its Next Moves? This year’s drills, like the previous ones, focused primarily on non-conventional warfare and counter terrorism training, with Russian and Egyptian paratroopers carrying out airborne jumps into hostile locations to clear and secure territory seized by terrorists and hostile non-state actors. These drills took place just a month after the conclusion of the joint Egyptian – US (and other states) counter terrorism joint military exercises known as Bright Star 2018. While Egypt is an ally of the US and receives around $1.3bn annually from it in military aid, since 2013 it has been gradually strengthening its ties with Moscow and trying to move away from dependence on US military exports. Egyptian – Russian rapprochement began in Oct 2013 following the US Administration’s decision to to part suspend military aid to Egypt following the crackdown on supporters of Mohammed Morsi, the former Egyptian President who was deposed in July of that year. US President Barack Obama said that US military support would “depend upon Egypt’s progress in pursuing a more democratic path”, and the US Administration had already suspended the delivery of four F-16 fighter jets and had canceled the Bright Star joint military exercises. When the US halted deliveries of combat aircraft to Egypt between 2013 and 2015, Egypt signed a $3.5bn weapons deal with Russia in 2014 which included delivery of 20 Mig-35 combat aircraft. In 2015 it also signed a €5.2bn deal to buy 24 French Rafale fighter jets thus further reducing the Egyptian Air Force’s dependence on US F-16s. Though the number of Migs and Rafale’s in use in the Egyptian Air Force is dwarfed by the 195 Lockheed F-16’s in the service of the air force. Between 2013 – 2017 France became the number one arms exporter to Egypt providing it with 37% of its arms imports. During this time 26% of Egypt’s weapons imports came from the US (down from 45% between 2008 – 2012) and 21% of all its arms imports came from Russia. US military aid enables Egypt to purchase American military hardware, and with Saudi and Emirati funding enabling Egypt to purchase French and Russian weaponry. This serves Gulf strategic interests of the GCC states as not only is Sisi’s Egypt as a bulwark against the Muslim Brotherhood but its air and sea forces are also participating in the war in Yemen against the Iranian backed Houthis. Egypt’s move away from near total dependence on US weaponry has increased it political autonomy, and has opened the way for Russia to expand its influence in another Arab state besides Syria. So far Russia has agreed to build a nuclear power station in El Dabaa, is constructing an industrial zone by the Suez canal, and trade between the two states has reached $6.7bn IN 2017. Despite all this, Moscow will not be able to present itself to Egypt as an alternative to the US as it is economically too weak to provide it with the constant level of financial and military assistance on offer from Washington. However, it can expand its influence in North Africa and the Egypt can gain a level of political autonomy by not being dependent on US arms exports which have on occasion been conditional to upholding human rights in the country. It’s a win-win for both countries as Russia can increase its foothold in Egypt and Egypt can use this Russian influence as leverage against the US should the next administration make military aid conditional on upholding human rights and carrying out democratic reforms as opposed to maintaining regional stability. U.S. Defense Department Report: The Changing Mission Confronting Iran In Syria And Iraq? 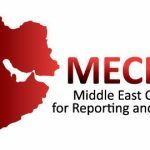 Tsarizm.com partners with the Middle East Center for Reporting and Analysis to bring you unique and important news from this important region of the world.